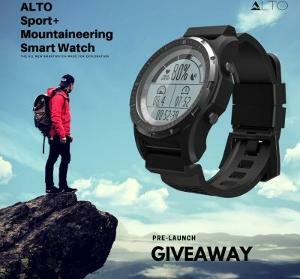 Prize: ntroducing the all new ALTO sport + mountaineering smart watch with revolutionary GPS functionality. We created our new minimalist smart watch for modern explorers and adventurers. What you must do to enter: Just follow the 4 ways to enter for the chance to win. Statistics: This contest was opened by 129 and entered by 11 ContestChest.com members. 9% of those who opened the contest, entered it.